Training about autism and learning disabilities should be mandatory for all healthcare staff, argues practice development nurse Steve Hardy. Hopefully you will have heard of Oliver McGowan (pictured) and the petition started by his mum Paula. "Oliver was a son, brother, athlete, student and a well-loved young man by all those who knew him." Oliver tragically passed away in hospital on the 11th November 2016. He was admitted because of an epileptic seizure. The medical staff thought he might need calming down, so they were going to prescribe an antipsychotic medication. Oliver was known to have an allergic reaction to these medications. He told the staff that he didn’t want the medication. His family said the same and it was written in his hospital passport by his bed. But the medics thought it was in his best interests and went ahead and administered the antipsychotic. A few days later he died due to an allergic reaction to the medication. Oliver was 18 years old at the time, a son, brother, athlete, student and a well-loved young man by all those who knew him. You might think - with all of the media attention, policies and protocols, work by Mencap, the National Autistic Society and Community Learning Disability Teams - how would this happen in 2016? But recent research by Dimensions found that nearly half of GPs did not know how to make reasonable adjustments and over 50 percent believed that communication is an issue when treating people with learning disabilities. We have known these issues for a long while. 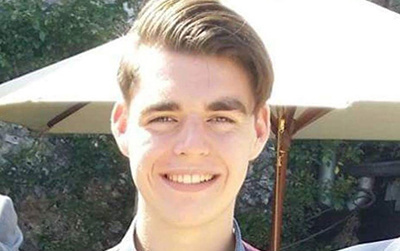 How many young people like Oliver need to die before we see a change in practice? People who read this blog will know the challenges autistic people and those with learning disabilities face when accessing healthcare. But it’s the mainstream healthcare staff we need to train. Healthcare staff come into this profession with an optimistic outlook and a belief that healthcare should be accessible for all. But to make this belief a reality we need to give them tools to achieve this. Paula McGowan has set a petition called ‘Preventing avoidable deaths by making autism/learning disability training mandatory’. Paula believes that Oliver’s death could have been prevented if the doctors and nurses had received mandatory training. What are autism and learning disabilities? If you agree please sign the petition and then share with family, friends and colleagues. Your support will make a difference. We will have a stall at Learning Disability Today London on November 28, so please come and say hello.